2016 Acura ILX 2.4L w/Technology Plus Package Bellanova White Pearl Clean CARFAX.At Island we only sell the best pre-owned vehicles and there are NO non-sense fees!! We guarantee you will not pay more than the advertised price. We Do not charge you more if you choose not to finance. We just offer a great vehicle at an aggressive price with the unbeatable service you'd expect from a Luxury dealer. If you decide to finance! We offer up to 100% FINANCING on all of our vehicles. We are also a Groove car dealer so we work with most of the major credit unions to help make things easier. Your bank your way....Finance Rates are on the rise but still as low as 2.99% on Certified vehicles. Also, All of our customers can take advantage of Island Acura's Preferred Customer Rewards Program and save $$ from our NO CHARGE every day car wash to FREE service! Thank you for considering Island Acura.CARFAX One-Owner. Acura Certified Pre-Owned Details:* Vehicle History* Transferable Warranty* 182 Point Inspection* Warranty Deductible: $0* Limited Warranty: 12 Month/12,000 Mile (whichever comes first) after new car warranty expires or from certified purchase date* Roadside Assistance* Powertrain Limited Warranty: 84 Month/100,000 Mile (whichever comes first) from original in-service date* Includes Trip Interruption and Concierge Services*Island Acura Preferred Customer Rewards Program*, NO RENTAL HISTORY, *LOW MILES*, *100% FINANCING AVAILABLE*, *Balance of Manufacture Warranty*, BAD CREDIT? NO PROBLEM, *Bluetooth, Hands-Free*, *Non Smoker*, *NEW BRAKES (Pads); Save $$! *, *Local Trade, Not a Prior Rental Vehicle*. Awards:* 2016 KBB.com Best Buy Awards Finalist * 2016 KBB.com 5-Year Cost to Own Awards2016 Kelley Blue Book Brand Image Awards are based on the Brand Watch(tm) study from Kelley Blue Book Market Intelligence. Award calculated among non-luxury shoppers. For more information, visit www.kbb.com. Kelley Blue Book is a registered trademark of Kelley Blue Book Co., Inc.When you purchase any NEW OR PRE-OWNED vehicle from Island Acura, you are enrolled in our Preferred Customer Rewards Program. Benefits of the program include: FREE ANYTIME CAR WASH (NO LINE NO CHARGE) in addition your first oil change is on us! NO charge LOANER VEHICLES while in service and FREE LIFETIME NYS inspections We also include 500 loyalty points with your vehicle purchase! Loyalty points are earned with every dollar spend on your new vehicle. Island Acura will start you out with your first 500. Please ask for more details and information about our Rewards Program. P.S. If you say LLoyd sent you we'll give you an additional 1000 points. 2016 Acura TLX 2.4L Base Bellanova White Pearl Clean CARFAX.At Island we only sell the best pre-owned vehicles and there are NO non-sense fees!! We guarantee you will not pay more than the advertised price. We Do not charge you more if you choose not to finance. We just offer a great vehicle at an aggressive price with the unbeatable service you'd expect from a Luxury dealer. If you decide to finance! We offer up to 100% FINANCING on all of our vehicles. We are also a Groove car dealer so we work with most of the major credit unions to help make things easier. Your bank your way....Finance Rates are on the rise but still as low as 2.99% on Certified vehicles. Also, All of our customers can take advantage of Island Acura's Preferred Customer Rewards Program and save $$ from our NO CHARGE every day car wash to FREE service! Thank you for considering Island Acura.CARFAX One-Owner. Acura Certified Pre-Owned Details:* Powertrain Limited Warranty: 84 Month/100,000 Mile (whichever comes first) from original in-service date* Limited Warranty: 12 Month/12,000 Mile (whichever comes first) after new car warranty expires or from certified purchase date* Includes Trip Interruption and Concierge Services* Roadside Assistance* 182 Point Inspection* Warranty Deductible: $0* Vehicle History* Transferable Warranty*Island Acura Preferred Customer Rewards Program*, NO RENTAL HISTORY, *LOW MILES*, *100% FINANCING AVAILABLE*, *Balance of Manufacture Warranty*, BAD CREDIT? NO PROBLEM, *Bluetooth, Hands-Free*, *Non Smoker*, *NEW BRAKES (Pads); Save $$! *, *Local Trade, Not a Prior Rental Vehicle*. Awards:* ALG Residual Value Awards * 2016 KBB.com 10 Best Luxury Cars Under $35,000 * 2016 KBB.com 5-Year Cost to Own Awards2016 Kelley Blue Book Brand Image Awards are based on the Brand Watch(tm) study from Kelley Blue Book Market Intelligence. Award calculated among non-luxury shoppers. For more information, visit www.kbb.com. Kelley Blue Book is a registered trademark of Kelley Blue Book Co., Inc.When you purchase any NEW OR PRE-OWNED vehicle from Island Acura, you are enrolled in our Preferred Customer Rewards Program. Benefits of the program include: FREE ANYTIME CAR WASH (NO LINE NO CHARGE) in addition your first oil change is on us! NO charge LOANER VEHICLES while in service and FREE LIFETIME NYS inspections We also include 500 loyalty points with your vehicle purchase! Loyalty points are earned with every dollar spend on your new vehicle. Island Acura will start you out with your first 500. Please ask for more details and information about our Rewards Program. P.S. If you say LLoyd sent you we'll give you an additional 1000 points. 2016 Acura ILX 2.4L w/Premium & A-SPEC Packages Crystal Black Pearl Clean CARFAX.At Island we only sell the best pre-owned vehicles and there are NO non-sense fees!! We guarantee you will not pay more than the advertised price. We Do not charge you more if you choose not to finance. We just offer a great vehicle at an aggressive price with the unbeatable service you'd expect from a Luxury dealer. If you decide to finance! We offer up to 100% FINANCING on all of our vehicles. We are also a Groove car dealer so we work with most of the major credit unions to help make things easier. Your bank your way....Finance Rates are on the rise but still as low as 2.99% on Certified vehicles. Also, All of our customers can take advantage of Island Acura's Preferred Customer Rewards Program and save $$ from our NO CHARGE every day car wash to FREE service! Thank you for considering Island Acura.CARFAX One-Owner. Acura Certified Pre-Owned Details:* Powertrain Limited Warranty: 84 Month/100,000 Mile (whichever comes first) from original in-service date* Roadside Assistance* 182 Point Inspection* Limited Warranty: 12 Month/12,000 Mile (whichever comes first) after new car warranty expires or from certified purchase date* Transferable Warranty* Warranty Deductible: $0* Vehicle History* Includes Trip Interruption and Concierge Services*Island Acura Preferred Customer Rewards Program*, NO RENTAL HISTORY, *LOW MILES*, *100% FINANCING AVAILABLE*, *Balance of Manufacture Warranty*, BAD CREDIT? NO PROBLEM, *Bluetooth, Hands-Free*, *Non Smoker*, *NEW BRAKES (Pads); Save $$! *, *Local Trade, Not a Prior Rental Vehicle*, Apple Carplay/Android Auto. Awards:* 2016 KBB.com Best Buy Awards Finalist * 2016 KBB.com 5-Year Cost to Own Awards2016 Kelley Blue Book Brand Image Awards are based on the Brand Watch(tm) study from Kelley Blue Book Market Intelligence. Award calculated among non-luxury shoppers. For more information, visit www.kbb.com. Kelley Blue Book is a registered trademark of Kelley Blue Book Co., Inc.When you purchase any NEW OR PRE-OWNED vehicle from Island Acura, you are enrolled in our Preferred Customer Rewards Program. Benefits of the program include: FREE ANYTIME CAR WASH (NO LINE NO CHARGE) in addition your first oil change is on us! NO charge LOANER VEHICLES while in service and FREE LIFETIME NYS inspections We also include 500 loyalty points with your vehicle purchase! Loyalty points are earned with every dollar spend on your new vehicle. Island Acura will start you out with your first 500. Please ask for more details and information about our Rewards Program. P.S. If you say LLoyd sent you we'll give you an additional 1000 points. THIS WEEKEND ONLY REDUCED TO 20995!! !2016 Acura TLX 3.5L V6 Bellanova White PearlAt Island we only sell the best pre-owned vehicles and there are NO non-sense fees!! We guarantee you will not pay more than the advertised price. We Do not charge you more if you choose not to finance. We just offer a great vehicle at an aggressive price with the unbeatable service you'd expect from a Luxury dealer. If you decide to finance! We offer up to 100% FINANCING on all of our vehicles. We are also a Groove car dealer so we work with most of the major credit unions to help make things easier. Your bank your way....Finance Rates are on the rise but still as low as 2.99% on Certified vehicles. Also, All of our customers can take advantage of Island Acura's Preferred Customer Rewards Program and save $$ from our NO CHARGE every day car wash to FREE service! Thank you for considering Island Acura.Acura Certified Pre-Owned Details:* Powertrain Limited Warranty: 84 Month/100,000 Mile (whichever comes first) from original in-service date* Warranty Deductible: $0* Limited Warranty: 12 Month/12,000 Mile (whichever comes first) after new car warranty expires or from certified purchase date* Roadside Assistance* Transferable Warranty* Vehicle History* 182 Point Inspection* Includes Trip Interruption and Concierge Services*Island Acura Preferred Customer Rewards Program*, NO RENTAL HISTORY, *LOW MILES*, *100% FINANCING AVAILABLE*, *Balance of Manufacture Warranty*, BAD CREDIT? NO PROBLEM, *Bluetooth, Hands-Free*, *Non Smoker*, *NEW BRAKES (Pads); Save $$! *, *Local Trade, Not a Prior Rental Vehicle*. Awards:* ALG Residual Value Awards * 2016 KBB.com 10 Best Luxury Cars Under $35,000 * 2016 KBB.com 5-Year Cost to Own Awards2016 Kelley Blue Book Brand Image Awards are based on the Brand Watch(tm) study from Kelley Blue Book Market Intelligence. Award calculated among non-luxury shoppers. For more information, visit www.kbb.com. Kelley Blue Book is a registered trademark of Kelley Blue Book Co., Inc.When you purchase any NEW OR PRE-OWNED vehicle from Island Acura, you are enrolled in our Preferred Customer Rewards Program. Benefits of the program include: FREE ANYTIME CAR WASH (NO LINE NO CHARGE) in addition your first oil change is on us! NO charge LOANER VEHICLES while in service and FREE LIFETIME NYS inspections We also include 500 loyalty points with your vehicle purchase! Loyalty points are earned with every dollar spend on your new vehicle. Island Acura will start you out with your first 500. Please ask for more details and information about our Rewards Program. P.S. If you say LLoyd sent you we'll give you an additional 1000 points. 2017 Acura ILX Premium Package Modern Steel Metallic Clean CARFAX.At Island we only sell the best pre-owned vehicles and there are NO non-sense fees!! We guarantee you will not pay more than the advertised price. We Do not charge you more if you choose not to finance. We just offer a great vehicle at an aggressive price with the unbeatable service you'd expect from a Luxury dealer. If you decide to finance! We offer up to 100% FINANCING on all of our vehicles. We are also a Groove car dealer so we work with most of the major credit unions to help make things easier. Your bank your way....Finance Rates are on the rise but still as low as 2.99% on Certified vehicles. Also, All of our customers can take advantage of Island Acura's Preferred Customer Rewards Program and save $$ from our NO CHARGE every day car wash to FREE service! Thank you for considering Island Acura.CARFAX One-Owner. Acura Certified Pre-Owned Details:* Roadside Assistance* 182 Point Inspection* Transferable Warranty* Vehicle History* Limited Warranty: 12 Month/12,000 Mile (whichever comes first) after new car warranty expires or from certified purchase date* Includes Trip Interruption and Concierge Services* Powertrain Limited Warranty: 84 Month/100,000 Mile (whichever comes first) from original in-service date* Warranty Deductible: $0*Island Acura Preferred Customer Rewards Program*, NO RENTAL HISTORY, *LOW MILES*, *100% FINANCING AVAILABLE*, *Balance of Manufacture Warranty*, BAD CREDIT? NO PROBLEM, *Bluetooth, Hands-Free*, *Non Smoker*, *NEW BRAKES (Pads); Save $$! *, *Local Trade, Not a Prior Rental Vehicle*. Awards:* 2017 IIHS Top Safety Pick (When equipped with optional front crash protection) * 2017 KBB.com 5-Year Cost to Own Awards2016 Kelley Blue Book Brand Image Awards are based on the Brand Watch(tm) study from Kelley Blue Book Market Intelligence. Award calculated among non-luxury shoppers. For more information, visit www.kbb.com. Kelley Blue Book is a registered trademark of Kelley Blue Book Co., Inc.*Insurance Institute for Highway Safety.When you purchase any NEW OR PRE-OWNED vehicle from Island Acura, you are enrolled in our Preferred Customer Rewards Program. Benefits of the program include: FREE ANYTIME CAR WASH (NO LINE NO CHARGE) in addition your first oil change is on us! NO charge LOANER VEHICLES while in service and FREE LIFETIME NYS inspections We also include 500 loyalty points with your vehicle purchase! Loyalty points are earned with every dollar spend on your new vehicle. Island Acura will start you out with your first 500. Please ask for more details and information about our Rewards Program. P.S. If you say LLoyd sent you we'll give you an additional 1000 points. 2016 Acura TLX 3.5L V6 SH-AWD w/Technology Package Bellanova White Pearl Clean CARFAX.At Island we only sell the best pre-owned vehicles and there are NO non-sense fees!! We guarantee you will not pay more than the advertised price. We Do not charge you more if you choose not to finance. We just offer a great vehicle at an aggressive price with the unbeatable service you'd expect from a Luxury dealer. If you decide to finance! We offer up to 100% FINANCING on all of our vehicles. We are also a Groove car dealer so we work with most of the major credit unions to help make things easier. Your bank your way....Finance Rates are on the rise but still as low as 2.99% on Certified vehicles. Also, All of our customers can take advantage of Island Acura's Preferred Customer Rewards Program and save $$ from our NO CHARGE every day car wash to FREE service! Thank you for considering Island Acura.CARFAX One-Owner. Acura Certified Pre-Owned Details:* Warranty Deductible: $0* Transferable Warranty* Includes Trip Interruption and Concierge Services* Vehicle History* Limited Warranty: 12 Month/12,000 Mile (whichever comes first) after new car warranty expires or from certified purchase date* Roadside Assistance* Powertrain Limited Warranty: 84 Month/100,000 Mile (whichever comes first) from original in-service date* 182 Point Inspection*Island Acura Preferred Customer Rewards Program*, NO RENTAL HISTORY, *LOW MILES*, *100% FINANCING AVAILABLE*, *Balance of Manufacture Warranty*, BAD CREDIT? NO PROBLEM, *Bluetooth, Hands-Free*, *Non Smoker*, *NEW BRAKES (Pads); Save $$! *, *Local Trade, Not a Prior Rental Vehicle*. Awards:* ALG Residual Value Awards * 2016 KBB.com 10 Best Luxury Cars Under $35,000 * 2016 KBB.com 5-Year Cost to Own Awards2016 Kelley Blue Book Brand Image Awards are based on the Brand Watch(tm) study from Kelley Blue Book Market Intelligence. Award calculated among non-luxury shoppers. For more information, visit www.kbb.com. Kelley Blue Book is a registered trademark of Kelley Blue Book Co., Inc.When you purchase any NEW OR PRE-OWNED vehicle from Island Acura, you are enrolled in our Preferred Customer Rewards Program. Benefits of the program include: FREE ANYTIME CAR WASH (NO LINE NO CHARGE) in addition your first oil change is on us! NO charge LOANER VEHICLES while in service and FREE LIFETIME NYS inspections We also include 500 loyalty points with your vehicle purchase! Loyalty points are earned with every dollar spend on your new vehicle. Island Acura will start you out with your first 500. Please ask for more details and information about our Rewards Program. P.S. If you say LLoyd sent you we'll give you an additional 1000 points. 2016 Acura TLX 3.5L V6 SH-AWD w/Technology Package and Factory ground effects. This is Bellanova White Pearl TLX is Beautiful! One owner and a Clean CARFAX.At Island we only sell the best pre-owned vehicles and there are NO non-sense fees!! We guarantee you will not pay more than the advertised price. We Do not charge you more if you choose not to finance. We just offer a great vehicle at an aggressive price with the unbeatable service you'd expect from a Luxury dealer. If you decide to finance! We offer up to 100% FINANCING on all of our vehicles. We are also a Groove car dealer so we work with most of the major credit unions to help make things easier. Your bank your way....Finance Rates are on the rise but still as low as 2.99% on Certified vehicles. Also, All of our customers can take advantage of Island Acura's Preferred Customer Rewards Program and save $$ from our NO CHARGE every day car wash to FREE service! Thank you for considering Island Acura.CARFAX One-Owner. Acura Certified Pre-Owned Details:* Includes Trip Interruption and Concierge Services* Limited Warranty: 12 Month/12,000 Mile (whichever comes first) after new car warranty expires or from certified purchase date* Powertrain Limited Warranty: 84 Month/100,000 Mile (whichever comes first) from original in-service date* Roadside Assistance* Vehicle History* 182 Point Inspection* Warranty Deductible: $0* Transferable Warranty*Island Acura Preferred Customer Rewards Program*, NO RENTAL HISTORY, *LOW MILES*, *100% FINANCING AVAILABLE*, *Balance of Manufacture Warranty*, BAD CREDIT? NO PROBLEM, *Bluetooth, Hands-Free*, *Non Smoker*, *NEW BRAKES (Pads); Save $$! *, *Local Trade, Not a Prior Rental Vehicle*. Awards:* ALG Residual Value Awards * 2016 KBB.com 10 Best Luxury Cars Under $35,000 * 2016 KBB.com 5-Year Cost to Own Awards2016 Kelley Blue Book Brand Image Awards are based on the Brand Watch(tm) study from Kelley Blue Book Market Intelligence. Award calculated among non-luxury shoppers. For more information, visit www.kbb.com. Kelley Blue Book is a registered trademark of Kelley Blue Book Co., Inc.When you purchase any NEW OR PRE-OWNED vehicle from Island Acura, you are enrolled in our Preferred Customer Rewards Program. Benefits of the program include: FREE ANYTIME CAR WASH (NO LINE NO CHARGE) in addition your first oil change is on us! NO charge LOANER VEHICLES while in service and FREE LIFETIME NYS inspections We also include 500 loyalty points with your vehicle purchase! Loyalty points are earned with every dollar spend on your new vehicle. Island Acura will start you out with your first 500. Please ask for more details and information about our Rewards Program. P.S. If you say LLoyd sent you we'll give you an additional 1000 points. 2017 Acura RDX Base SH-AWD Clean CARFAX.At Island we only sell the best pre-owned vehicles and there are NO non-sense fees!! We guarantee you will not pay more than the advertised price. We Do not charge you more if you choose not to finance. We just offer a great vehicle at an aggressive price with the unbeatable service you'd expect from a Luxury dealer. If you decide to finance! We offer up to 100% FINANCING on all of our vehicles. We are also a Groove car dealer so we work with most of the major credit unions to help make things easier. Your bank your way....Finance Rates are on the rise but still as low as 2.99% on Certified vehicles. Also, All of our customers can take advantage of Island Acura's Preferred Customer Rewards Program and save $$ from our NO CHARGE every day car wash to FREE service! 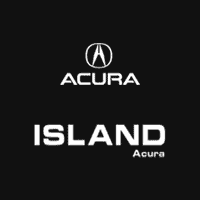 Thank you for considering Island Acura. *Island Acura Preferred Customer Rewards Program*, NO RENTAL HISTORY, *LOW MILES*, *100% FINANCING AVAILABLE*, *Balance of Manufacture Warranty*, BAD CREDIT? NO PROBLEM, *Bluetooth, Hands-Free*, *Non Smoker*, *NEW BRAKES (Pads); Save $$! *, *Local Trade, Not a Prior Rental Vehicle*, AWD. Awards:* 2017 IIHS Top Safety Pick+ (When equipped with optional front crash protection) * 2017 KBB.com 10 Best Luxury Cars Under $35,000 * 2017 KBB.com 5-Year Cost to Own Awards2016 Kelley Blue Book Brand Image Awards are based on the Brand Watch(tm) study from Kelley Blue Book Market Intelligence. Award calculated among non-luxury shoppers. For more information, visit www.kbb.com. Kelley Blue Book is a registered trademark of Kelley Blue Book Co., Inc.*Insurance Institute for Highway Safety.When you purchase any NEW OR PRE-OWNED vehicle from Island Acura, you are enrolled in our Preferred Customer Rewards Program. Benefits of the program include: FREE ANYTIME CAR WASH (NO LINE NO CHARGE) in addition your first oil change is on us! NO charge LOANER VEHICLES while in service and FREE LIFETIME NYS inspections We also include 500 loyalty points with your vehicle purchase! Loyalty points are earned with every dollar spend on your new vehicle. Island Acura will start you out with your first 500. Please ask for more details and information about our Rewards Program. P.S. If you say LLoyd sent you we'll give you an additional 1000 points. 2016 Acura MDX 3.5L SH-AWD Lunar Silver Metallic Clean CARFAX.At Island we only sell the best pre-owned vehicles and there are NO non-sense fees!! We guarantee you will not pay more than the advertised price. We Do not charge you more if you choose not to finance. We just offer a great vehicle at an aggressive price with the unbeatable service you'd expect from a Luxury dealer. If you decide to finance! We offer up to 100% FINANCING on all of our vehicles. We are also a Groove car dealer so we work with most of the major credit unions to help make things easier. Your bank your way....Finance Rates are on the rise but still as low as 2.99% on Certified vehicles. Also, All of our customers can take advantage of Island Acura's Preferred Customer Rewards Program and save $$ from our NO CHARGE every day car wash to FREE service! Thank you for considering Island Acura.CARFAX One-Owner. Acura Certified Pre-Owned Details:* Transferable Warranty* Roadside Assistance* Limited Warranty: 12 Month/12,000 Mile (whichever comes first) after new car warranty expires or from certified purchase date* Vehicle History* Powertrain Limited Warranty: 84 Month/100,000 Mile (whichever comes first) from original in-service date* 182 Point Inspection* Includes Trip Interruption and Concierge Services* Warranty Deductible: $0*Island Acura Preferred Customer Rewards Program*, NO RENTAL HISTORY, *LOW MILES*, *100% FINANCING AVAILABLE*, *Balance of Manufacture Warranty*, BAD CREDIT? NO PROBLEM, *Bluetooth, Hands-Free*, *Non Smoker*, *NEW BRAKES (Pads); Save $$! *, *Local Trade, Not a Prior Rental Vehicle*, Graystone w/Leather-Trimmed Interior. Awards:* 2016 KBB.com Best Buy Awards Finalist * 2016 KBB.com 5-Year Cost to Own Awards2016 Kelley Blue Book Brand Image Awards are based on the Brand Watch(tm) study from Kelley Blue Book Market Intelligence. Award calculated among non-luxury shoppers. For more information, visit www.kbb.com. Kelley Blue Book is a registered trademark of Kelley Blue Book Co., Inc.When you purchase any NEW OR PRE-OWNED vehicle from Island Acura, you are enrolled in our Preferred Customer Rewards Program. Benefits of the program include: FREE ANYTIME CAR WASH (NO LINE NO CHARGE) in addition your first oil change is on us! NO charge LOANER VEHICLES while in service and FREE LIFETIME NYS inspections We also include 500 loyalty points with your vehicle purchase! Loyalty points are earned with every dollar spend on your new vehicle. Island Acura will start you out with your first 500. Please ask for more details and information about our Rewards Program. P.S. If you say LLoyd sent you we'll give you an additional 1000 points. 2017 Acura RDX Technology Package SH-AWD Crystal Black Pearl Clean CARFAX.At Island we only sell the best pre-owned vehicles and there are NO non-sense fees!! We guarantee you will not pay more than the advertised price. We Do not charge you more if you choose not to finance. We just offer a great vehicle at an aggressive price with the unbeatable service you'd expect from a Luxury dealer. If you decide to finance! We offer up to 100% FINANCING on all of our vehicles. We are also a Groove car dealer so we work with most of the major credit unions to help make things easier. Your bank your way....Finance Rates are on the rise but still as low as 2.99% on Certified vehicles. Also, All of our customers can take advantage of Island Acura's Preferred Customer Rewards Program and save $$ from our NO CHARGE every day car wash to FREE service! Thank you for considering Island Acura.CARFAX One-Owner. Acura Certified Pre-Owned Details:* Roadside Assistance* Transferable Warranty* Warranty Deductible: $0* Limited Warranty: 12 Month/12,000 Mile (whichever comes first) after new car warranty expires or from certified purchase date* Powertrain Limited Warranty: 84 Month/100,000 Mile (whichever comes first) from original in-service date* Vehicle History* Includes Trip Interruption and Concierge Services* 182 Point Inspection*Island Acura Preferred Customer Rewards Program*, NO RENTAL HISTORY, *LOW MILES*, *100% FINANCING AVAILABLE*, *Balance of Manufacture Warranty*, BAD CREDIT? NO PROBLEM, *Bluetooth, Hands-Free*, *Non Smoker*, *NEW BRAKES (Pads); Save $$! *, *Local Trade, Not a Prior Rental Vehicle*, AWD. Awards:* 2017 IIHS Top Safety Pick+ (When equipped with optional front crash protection) * 2017 KBB.com 10 Best Luxury Cars Under $35,000 * 2017 KBB.com 5-Year Cost to Own Awards2016 Kelley Blue Book Brand Image Awards are based on the Brand Watch(tm) study from Kelley Blue Book Market Intelligence. Award calculated among non-luxury shoppers. For more information, visit www.kbb.com. Kelley Blue Book is a registered trademark of Kelley Blue Book Co., Inc.*Insurance Institute for Highway Safety.When you purchase any NEW OR PRE-OWNED vehicle from Island Acura, you are enrolled in our Preferred Customer Rewards Program. Benefits of the program include: FREE ANYTIME CAR WASH (NO LINE NO CHARGE) in addition your first oil change is on us! NO charge LOANER VEHICLES while in service and FREE LIFETIME NYS inspections We also include 500 loyalty points with your vehicle purchase! Loyalty points are earned with every dollar spend on your new vehicle. Island Acura will start you out with your first 500. Please ask for more details and information about our Rewards Program. P.S. If you say LLoyd sent you we'll give you an additional 1000 points. 2017 Acura RDX Technology Package AWD Modern Steel Metallic Clean CARFAX.At Island we only sell the best pre-owned vehicles and there are NO non-sense fees!! We guarantee you will not pay more than the advertised price. We Do not charge you more if you choose not to finance. We just offer a great vehicle at an aggressive price with the unbeatable service you'd expect from a Luxury dealer. If you decide to finance! We offer up to 100% FINANCING on all of our vehicles. We are also a Groove car dealer so we work with most of the major credit unions to help make things easier. Your bank your way....Finance Rates are on the rise but still as low as 2.99% on Certified vehicles. Also, All of our customers can take advantage of Island Acura's Preferred Customer Rewards Program and save $$ from our NO CHARGE every day car wash to FREE service! Thank you for considering Island Acura.CARFAX One-Owner. Acura Certified Pre-Owned Details:* Limited Warranty: 12 Month/12,000 Mile (whichever comes first) after new car warranty expires or from certified purchase date* Powertrain Limited Warranty: 84 Month/100,000 Mile (whichever comes first) from original in-service date* Warranty Deductible: $0* Transferable Warranty* Roadside Assistance* Includes Trip Interruption and Concierge Services* 182 Point Inspection* Vehicle History*Island Acura Preferred Customer Rewards Program*, NO RENTAL HISTORY, *LOW MILES*, *100% FINANCING AVAILABLE*, *Balance of Manufacture Warranty*, BAD CREDIT? NO PROBLEM, *Bluetooth, Hands-Free*, *Non Smoker*, *NEW BRAKES (Pads); Save $$! *, *Local Trade, Not a Prior Rental Vehicle*, AWD. Awards:* 2017 IIHS Top Safety Pick+ (When equipped with optional front crash protection) * 2017 KBB.com 10 Best Luxury Cars Under $35,000 * 2017 KBB.com 5-Year Cost to Own Awards2016 Kelley Blue Book Brand Image Awards are based on the Brand Watch(tm) study from Kelley Blue Book Market Intelligence. Award calculated among non-luxury shoppers. For more information, visit www.kbb.com. Kelley Blue Book is a registered trademark of Kelley Blue Book Co., Inc.*Insurance Institute for Highway Safety.When you purchase any NEW OR PRE-OWNED vehicle from Island Acura, you are enrolled in our Preferred Customer Rewards Program. Benefits of the program include: FREE ANYTIME CAR WASH (NO LINE NO CHARGE) in addition your first oil change is on us! NO charge LOANER VEHICLES while in service and FREE LIFETIME NYS inspections We also include 500 loyalty points with your vehicle purchase! Loyalty points are earned with every dollar spend on your new vehicle. Island Acura will start you out with your first 500. Please ask for more details and information about our Rewards Program. P.S. If you say LLoyd sent you we'll give you an additional 1000 points. 2017 Acura RDX Technology Package SH-AWD Modern Steel Metallic Clean CARFAX.At Island we only sell the best pre-owned vehicles and there are NO non-sense fees!! We guarantee you will not pay more than the advertised price. We Do not charge you more if you choose not to finance. We just offer a great vehicle at an aggressive price with the unbeatable service you'd expect from a Luxury dealer. If you decide to finance! We offer up to 100% FINANCING on all of our vehicles. We are also a Groove car dealer so we work with most of the major credit unions to help make things easier. Your bank your way....Finance Rates are on the rise but still as low as 2.99% on Certified vehicles. Also, All of our customers can take advantage of Island Acura's Preferred Customer Rewards Program and save $$ from our NO CHARGE every day car wash to FREE service! Thank you for considering Island Acura.CARFAX One-Owner. Acura Certified Pre-Owned Details:* Warranty Deductible: $0* 182 Point Inspection* Powertrain Limited Warranty: 84 Month/100,000 Mile (whichever comes first) from original in-service date* Roadside Assistance* Includes Trip Interruption and Concierge Services* Vehicle History* Limited Warranty: 12 Month/12,000 Mile (whichever comes first) after new car warranty expires or from certified purchase date* Transferable Warranty*Island Acura Preferred Customer Rewards Program*, NO RENTAL HISTORY, *LOW MILES*, *100% FINANCING AVAILABLE*, *Balance of Manufacture Warranty*, BAD CREDIT? NO PROBLEM, *Bluetooth, Hands-Free*, *Non Smoker*, *NEW BRAKES (Pads); Save $$! *, *Local Trade, Not a Prior Rental Vehicle*, AWD. Awards:* 2017 IIHS Top Safety Pick+ (When equipped with optional front crash protection) * 2017 KBB.com 10 Best Luxury Cars Under $35,000 * 2017 KBB.com 5-Year Cost to Own Awards2016 Kelley Blue Book Brand Image Awards are based on the Brand Watch(tm) study from Kelley Blue Book Market Intelligence. Award calculated among non-luxury shoppers. For more information, visit www.kbb.com. Kelley Blue Book is a registered trademark of Kelley Blue Book Co., Inc.*Insurance Institute for Highway Safety.When you purchase any NEW OR PRE-OWNED vehicle from Island Acura, you are enrolled in our Preferred Customer Rewards Program. Benefits of the program include: FREE ANYTIME CAR WASH (NO LINE NO CHARGE) in addition your first oil change is on us! NO charge LOANER VEHICLES while in service and FREE LIFETIME NYS inspections We also include 500 loyalty points with your vehicle purchase! Loyalty points are earned with every dollar spend on your new vehicle. Island Acura will start you out with your first 500. Please ask for more details and information about our Rewards Program. P.S. If you say LLoyd sent you we'll give you an additional 1000 points. 2016 Acura MDX 3.5L SH-AWD w/Technology Pkg White Diamond PearlAt Island we only sell the best pre-owned vehicles and there are NO non-sense fees!! We guarantee you will not pay more than the advertised price. We Do not charge you more if you choose not to finance. We just offer a great vehicle at an aggressive price with the unbeatable service you'd expect from a Luxury dealer. If you decide to finance! We offer up to 100% FINANCING on all of our vehicles. We are also a Groove car dealer so we work with most of the major credit unions to help make things easier. Your bank your way....Finance Rates are on the rise but still as low as 2.99% on Certified vehicles. Also, All of our customers can take advantage of Island Acura's Preferred Customer Rewards Program and save $$ from our NO CHARGE every day car wash to FREE service! Thank you for considering Island Acura.CARFAX One-Owner. Acura Certified Pre-Owned Details:* Warranty Deductible: $0* 182 Point Inspection* Roadside Assistance* Includes Trip Interruption and Concierge Services* Limited Warranty: 12 Month/12,000 Mile (whichever comes first) after new car warranty expires or from certified purchase date* Transferable Warranty* Vehicle History* Powertrain Limited Warranty: 84 Month/100,000 Mile (whichever comes first) from original in-service date*Island Acura Preferred Customer Rewards Program*, NO RENTAL HISTORY, *LOW MILES*, *100% FINANCING AVAILABLE*, *Balance of Manufacture Warranty*, BAD CREDIT? NO PROBLEM, *Bluetooth, Hands-Free*, *Non Smoker*, *NEW BRAKES (Pads); Save $$! *, *Local Trade, Not a Prior Rental Vehicle*, Parchment w/Perforated Milano Premium Leather-Trimmed Interior. Awards:* 2016 KBB.com Best Buy Awards Finalist * 2016 KBB.com 5-Year Cost to Own Awards2016 Kelley Blue Book Brand Image Awards are based on the Brand Watch(tm) study from Kelley Blue Book Market Intelligence. Award calculated among non-luxury shoppers. For more information, visit www.kbb.com. Kelley Blue Book is a registered trademark of Kelley Blue Book Co., Inc.When you purchase any NEW OR PRE-OWNED vehicle from Island Acura, you are enrolled in our Preferred Customer Rewards Program. Benefits of the program include: FREE ANYTIME CAR WASH (NO LINE NO CHARGE) in addition your first oil change is on us! NO charge LOANER VEHICLES while in service and FREE LIFETIME NYS inspections We also include 500 loyalty points with your vehicle purchase! Loyalty points are earned with every dollar spend on your new vehicle. Island Acura will start you out with your first 500. Please ask for more details and information about our Rewards Program. P.S. If you say LLoyd sent you we'll give you an additional 1000 points. 2016 Acura MDX 3.5L SH-AWD w/Technology & Entertainment Pkgs White Diamond Pearl Clean CARFAX.At Island we only sell the best pre-owned vehicles and there are NO non-sense fees!! We guarantee you will not pay more than the advertised price. We Do not charge you more if you choose not to finance. We just offer a great vehicle at an aggressive price with the unbeatable service you'd expect from a Luxury dealer. If you decide to finance! We offer up to 100% FINANCING on all of our vehicles. We are also a Groove car dealer so we work with most of the major credit unions to help make things easier. Your bank your way....Finance Rates are on the rise but still as low as 2.99% on Certified vehicles. Also, All of our customers can take advantage of Island Acura's Preferred Customer Rewards Program and save $$ from our NO CHARGE every day car wash to FREE service! Thank you for considering Island Acura.CARFAX One-Owner. Acura Certified Pre-Owned Details:* Transferable Warranty* Roadside Assistance* Includes Trip Interruption and Concierge Services* Limited Warranty: 12 Month/12,000 Mile (whichever comes first) after new car warranty expires or from certified purchase date* Vehicle History* Warranty Deductible: $0* Powertrain Limited Warranty: 84 Month/100,000 Mile (whichever comes first) from original in-service date* 182 Point Inspection*Island Acura Preferred Customer Rewards Program*, NO RENTAL HISTORY, *LOW MILES*, *100% FINANCING AVAILABLE*, *Balance of Manufacture Warranty*, BAD CREDIT? NO PROBLEM, *Bluetooth, Hands-Free*, *Non Smoker*, *NEW BRAKES (Pads); Save $$! *, *Local Trade, Not a Prior Rental Vehicle*, Parchment w/Leather-Trimmed Interior. Awards:* 2016 KBB.com Best Buy Awards Finalist * 2016 KBB.com 5-Year Cost to Own Awards2016 Kelley Blue Book Brand Image Awards are based on the Brand Watch(tm) study from Kelley Blue Book Market Intelligence. Award calculated among non-luxury shoppers. For more information, visit www.kbb.com. Kelley Blue Book is a registered trademark of Kelley Blue Book Co., Inc.When you purchase any NEW OR PRE-OWNED vehicle from Island Acura, you are enrolled in our Preferred Customer Rewards Program. Benefits of the program include: FREE ANYTIME CAR WASH (NO LINE NO CHARGE) in addition your first oil change is on us! NO charge LOANER VEHICLES while in service and FREE LIFETIME NYS inspections We also include 500 loyalty points with your vehicle purchase! Loyalty points are earned with every dollar spend on your new vehicle. Island Acura will start you out with your first 500. Please ask for more details and information about our Rewards Program. P.S. If you say LLoyd sent you we'll give you an additional 1000 points. 2016 Acura MDX 3.5L SH-AWD w/Technology Pkg White Diamond PearlAt Island we only sell the best pre-owned vehicles and there are NO non-sense fees!! We guarantee you will not pay more than the advertised price. We Do not charge you more if you choose not to finance. We just offer a great vehicle at an aggressive price with the unbeatable service you'd expect from a Luxury dealer. If you decide to finance! We offer up to 100% FINANCING on all of our vehicles. We are also a Groove car dealer so we work with most of the major credit unions to help make things easier. Your bank your way....Finance Rates are on the rise but still as low as 2.99% on Certified vehicles. Also, All of our customers can take advantage of Island Acura's Preferred Customer Rewards Program and save $$ from our NO CHARGE every day car wash to FREE service! Thank you for considering Island Acura.CARFAX One-Owner. Acura Certified Pre-Owned Details:* Transferable Warranty* Includes Trip Interruption and Concierge Services* Limited Warranty: 12 Month/12,000 Mile (whichever comes first) after new car warranty expires or from certified purchase date* 182 Point Inspection* Warranty Deductible: $0* Roadside Assistance* Vehicle History* Powertrain Limited Warranty: 84 Month/100,000 Mile (whichever comes first) from original in-service date*Island Acura Preferred Customer Rewards Program*, NO RENTAL HISTORY, *LOW MILES*, *100% FINANCING AVAILABLE*, *Balance of Manufacture Warranty*, BAD CREDIT? NO PROBLEM, *Bluetooth, Hands-Free*, *Non Smoker*, *NEW BRAKES (Pads); Save $$! *, *Local Trade, Not a Prior Rental Vehicle*, Ebony w/Leather-Trimmed Interior. Awards:* 2016 KBB.com Best Buy Awards Finalist * 2016 KBB.com 5-Year Cost to Own Awards2016 Kelley Blue Book Brand Image Awards are based on the Brand Watch(tm) study from Kelley Blue Book Market Intelligence. Award calculated among non-luxury shoppers. For more information, visit www.kbb.com. Kelley Blue Book is a registered trademark of Kelley Blue Book Co., Inc.When you purchase any NEW OR PRE-OWNED vehicle from Island Acura, you are enrolled in our Preferred Customer Rewards Program. Benefits of the program include: FREE ANYTIME CAR WASH (NO LINE NO CHARGE) in addition your first oil change is on us! NO charge LOANER VEHICLES while in service and FREE LIFETIME NYS inspections We also include 500 loyalty points with your vehicle purchase! Loyalty points are earned with every dollar spend on your new vehicle. Island Acura will start you out with your first 500. Please ask for more details and information about our Rewards Program. P.S. If you say LLoyd sent you we'll give you an additional 1000 points. 2016 Acura MDX 3.5L SH-AWD w/Technology Package & AcuraWatch Plus Pkgs Dark Cherry Pearl Clean CARFAX.At Island we only sell the best pre-owned vehicles and there are NO non-sense fees!! We guarantee you will not pay more than the advertised price. We Do not charge you more if you choose not to finance. We just offer a great vehicle at an aggressive price with the unbeatable service you'd expect from a Luxury dealer. If you decide to finance! We offer up to 100% FINANCING on all of our vehicles. We are also a Groove car dealer so we work with most of the major credit unions to help make things easier. Your bank your way....Finance Rates are on the rise but still as low as 2.99% on Certified vehicles. Also, All of our customers can take advantage of Island Acura's Preferred Customer Rewards Program and save $$ from our NO CHARGE every day car wash to FREE service! Thank you for considering Island Acura.CARFAX One-Owner. Acura Certified Pre-Owned Details:* Transferable Warranty* Includes Trip Interruption and Concierge Services* Vehicle History* 182 Point Inspection* Roadside Assistance* Limited Warranty: 12 Month/12,000 Mile (whichever comes first) after new car warranty expires or from certified purchase date* Warranty Deductible: $0* Powertrain Limited Warranty: 84 Month/100,000 Mile (whichever comes first) from original in-service date*Island Acura Preferred Customer Rewards Program*, NO RENTAL HISTORY, *LOW MILES*, *100% FINANCING AVAILABLE*, *Balance of Manufacture Warranty*, BAD CREDIT? NO PROBLEM, *Bluetooth, Hands-Free*, *Non Smoker*, *NEW BRAKES (Pads); Save $$! *, *Local Trade, Not a Prior Rental Vehicle*, *Split Folding Rear Seats*, New Michelin Tires, Parchment w/Leather-Trimmed Interior. Awards:* 2016 KBB.com Best Buy Awards Finalist * 2016 KBB.com 5-Year Cost to Own Awards2016 Kelley Blue Book Brand Image Awards are based on the Brand Watch(tm) study from Kelley Blue Book Market Intelligence. Award calculated among non-luxury shoppers. For more information, visit www.kbb.com. Kelley Blue Book is a registered trademark of Kelley Blue Book Co., Inc.When you purchase any NEW OR PRE-OWNED vehicle from Island Acura, you are enrolled in our Preferred Customer Rewards Program. Benefits of the program include: FREE ANYTIME CAR WASH (NO LINE NO CHARGE) in addition your first oil change is on us! NO charge LOANER VEHICLES while in service and FREE LIFETIME NYS inspections We also include 500 loyalty points with your vehicle purchase! Loyalty points are earned with every dollar spend on your new vehicle. Island Acura will start you out with your first 500. Please ask for more details and information about our Rewards Program. P.S. If you say LLoyd sent you we'll give you an additional 1000 points. 2016 Acura MDX 3.5L SH-AWD w/Advance Package Crystal Black PearlAt Island we only sell the best pre-owned vehicles and there are NO non-sense fees!! We guarantee you will not pay more than the advertised price. We Do not charge you more if you choose not to finance. We just offer a great vehicle at an aggressive price with the unbeatable service you'd expect from a Luxury dealer. If you decide to finance! We offer up to 100% FINANCING on all of our vehicles. We are also a Groove car dealer so we work with most of the major credit unions to help make things easier. Your bank your way....Finance Rates are on the rise but still as low as 2.99% on Certified vehicles. Also, All of our customers can take advantage of Island Acura's Preferred Customer Rewards Program and save $$ from our NO CHARGE every day car wash to FREE service! Thank you for considering Island Acura.CARFAX One-Owner. Acura Certified Pre-Owned Details:* Vehicle History* 182 Point Inspection* Warranty Deductible: $0* Roadside Assistance* Powertrain Limited Warranty: 84 Month/100,000 Mile (whichever comes first) from original in-service date* Transferable Warranty* Includes Trip Interruption and Concierge Services* Limited Warranty: 12 Month/12,000 Mile (whichever comes first) after new car warranty expires or from certified purchase date*Island Acura Preferred Customer Rewards Program*, NO RENTAL HISTORY, *LOW MILES*, *100% FINANCING AVAILABLE*, *Balance of Manufacture Warranty*, BAD CREDIT? NO PROBLEM, *Bluetooth, Hands-Free*, *Non Smoker*, *NEW BRAKES (Pads); Save $$! *, *Local Trade, Not a Prior Rental Vehicle*, Ebony w/Leather-Trimmed Interior. Awards:* 2016 KBB.com Best Buy Awards Finalist * 2016 KBB.com 5-Year Cost to Own Awards2016 Kelley Blue Book Brand Image Awards are based on the Brand Watch(tm) study from Kelley Blue Book Market Intelligence. Award calculated among non-luxury shoppers. For more information, visit www.kbb.com. Kelley Blue Book is a registered trademark of Kelley Blue Book Co., Inc.When you purchase any NEW OR PRE-OWNED vehicle from Island Acura, you are enrolled in our Preferred Customer Rewards Program. Benefits of the program include: FREE ANYTIME CAR WASH (NO LINE NO CHARGE) in addition your first oil change is on us! NO charge LOANER VEHICLES while in service and FREE LIFETIME NYS inspections We also include 500 loyalty points with your vehicle purchase! Loyalty points are earned with every dollar spend on your new vehicle. Island Acura will start you out with your first 500. Please ask for more details and information about our Rewards Program. P.S. If you say LLoyd sent you we'll give you an additional 1000 points. 2016 Acura RLX Sport Hybrid Base w/Advance Package Slate Silver Metallic Clean CARFAX.At Island we only sell the best pre-owned vehicles and there are NO non-sense fees!! We guarantee you will not pay more than the advertised price. We Do not charge you more if you choose not to finance. We just offer a great vehicle at an aggressive price with the unbeatable service you'd expect from a Luxury dealer. If you decide to finance! We offer up to 100% FINANCING on all of our vehicles. We are also a Groove car dealer so we work with most of the major credit unions to help make things easier. Your bank your way....Finance Rates are on the rise but still as low as 2.99% on Certified vehicles. Also, All of our customers can take advantage of Island Acura's Preferred Customer Rewards Program and save $$ from our NO CHARGE every day car wash to FREE service! Thank you for considering Island Acura.Acura Certified Pre-Owned Details:* Vehicle History* Roadside Assistance* Transferable Warranty* Powertrain Limited Warranty: 84 Month/100,000 Mile (whichever comes first) from original in-service date* 182 Point Inspection* Warranty Deductible: $0* Includes Trip Interruption and Concierge Services* Limited Warranty: 12 Month/12,000 Mile (whichever comes first) after new car warranty expires or from certified purchase date*Island Acura Preferred Customer Rewards Program*, NO RENTAL HISTORY, *LOW MILES*, *100% FINANCING AVAILABLE*, *Balance of Manufacture Warranty*, BAD CREDIT? NO PROBLEM, *Bluetooth, Hands-Free*, *Non Smoker*, *NEW BRAKES (Pads); Save $$! *, *Local Trade, Not a Prior Rental Vehicle*, 3.5L V6 SOHC i-VTEC 24V. Awards:* 2016 KBB.com 5-Year Cost to Own Awards2016 Kelley Blue Book Brand Image Awards are based on the Brand Watch(tm) study from Kelley Blue Book Market Intelligence. Award calculated among non-luxury shoppers. For more information, visit www.kbb.com. Kelley Blue Book is a registered trademark of Kelley Blue Book Co., Inc.When you purchase any NEW OR PRE-OWNED vehicle from Island Acura, you are enrolled in our Preferred Customer Rewards Program. Benefits of the program include: FREE ANYTIME CAR WASH (NO LINE NO CHARGE) in addition your first oil change is on us! NO charge LOANER VEHICLES while in service and FREE LIFETIME NYS inspections We also include 500 loyalty points with your vehicle purchase! Loyalty points are earned with every dollar spend on your new vehicle. Island Acura will start you out with your first 500. Please ask for more details and information about our Rewards Program. P.S. If you say LLoyd sent you we'll give you an additional 1000 points.